Best news lately is the reopening of our village auberge, the Cadran Solaire. Our Mairie has realised that if the shop and the auberge were allowed to shut, it would be a step towards the village slowly dying – as have so many small villages, so they bought and refurbished both of them. We have eaten there several times and the food is very good, and, at least in the summer, we can sit outside in the evening and have a drink. Judy’s sister Gill and her husband Phil came all the way from Madeira for a visit. I hope they had a good time, because we really enjoyed having them. I have to say that I haven’t done much bus-spotting before, but it’s always interesting to scream to a stop in the car to view an interesting example! We also had a trip on the steam train line at Martel – that’s always lots of fun. Gill and Phil can reach anywhere in Madeira in 45 minutes, so I like to think they were at least impressed how big the Correze is! I have managed to get in touch with three chaps I knew from my hall of residence in London during my too brief time at university. All three now live in France and not just that – in chateaux! 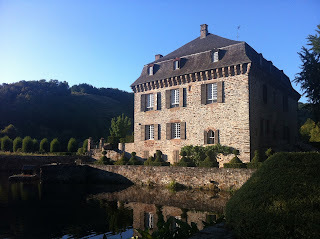 Harry Bockmeulen and his wife Anna live in the Chateau Claude-Bellevue near Bordeaux. There they have a commercial vineyard, and produce some seriously good wine. While Harry works away most of the time, Anna runs a very luxurious B & B – helped by her son who is a cordon bleu chef. We enjoyed meeting up again and hope we can keep in touch! 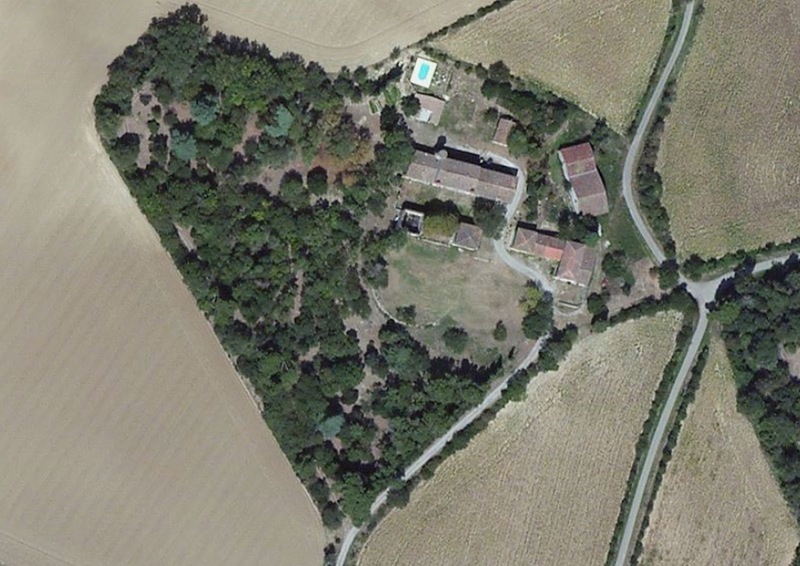 John Bostock and his husband Chris have an even larger place further south of us not far from Carcassonne. It’s an amazing place – a large house, a guest house and a gite. They hope to plant vines soon too. We had a great lunch a caught up – a very enjoyable day. We were able to visit John and Chris because we had to go to Toulouse airport. Our friend Brian – an ex-navigator of course – got his airports a little confused. Anyway he stayed with us for almost a week, and he caught the train back to Toulouse….One of the places we visited with him was Gimel les Cascades, named after its famous waterfalls. Judy and I had been to the village a few times, but never actually seen the cascades up close. They are quite spectacular, but there are a huge number of steps to climb down….and up. Glad there was a café for a drink afterwards. 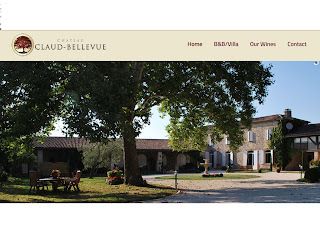 We have another friend with a vineyard and chateau the other side of Bordeaux – we should see him in the autumn. 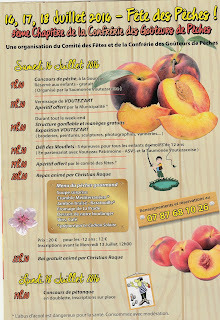 Once again we enjoyed the village’s annual Peach Festival. We had a really nice meal with our friends Rhonda and David, and the next day we watched the inter village games, which seemed to be appreciated by everyone. A couple of weeks later we went to a concert in Brive, one of the music and art events organised by the Festival de la Vézère. We saw the very talented opera singer from South Africa Pumeza Matshikiza, accompanied by the Orchestra of the Republican Guard. A great evening. 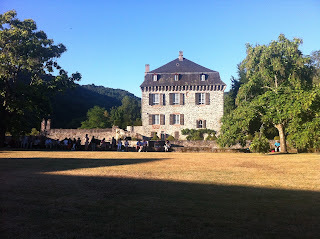 A few weeks later we went to another festival event, the opera Cosi fan Tutti, at the Chateau du Saillant. As last year a very well presented occasion in a wonderful setting. After a final visit to the ophthalmologists Judy’s cataract operation has been declared a great success – I have even had to remind her to take her glasses with her when we go out! We went to a couple of the Marché des Producteurs in Le Saillant this summer. Really nice to go with friends, meet others there and eat and drink lots. Just like a huge picnic! As the summer draws to a close we had one more visitor, Paul Cannock popping in for the night on his way south. 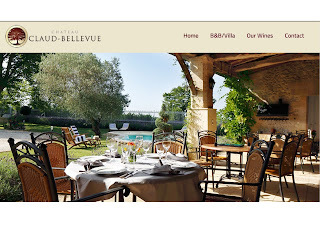 We took him to the Auberge for an aperitif, and discovered that Paul, who speaks perfect Italian, and M Ferrari the chef, (and very Italian), had both been on the same Italian air base. A small world.